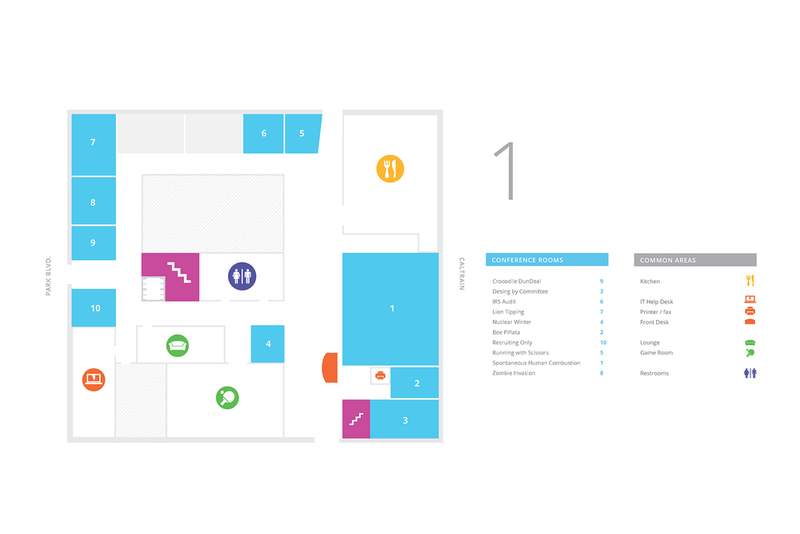 As an intern, I designed a small way-finding system for Groupon's Palo Alto office building. I created a map for each floor, then collaborated with a developer to design a corresponding application during Groupon's hack-a-thon. New designs, for print and ditigtal use.